Prostate cancer is among the most significant health issues facing dads today. While many men who have been diagnosed with the disease ware likely to be doing everything they can to improve their wellbeing, new research suggests that it may be as easy as going for a walk. According to a study conducted by the Harvard School of Public Health, men who walked at a brisk pace for at least 90 minutes a week experienced a 46 percent lower mortality hazard due to the condition. Additionally, participants who engaged in at least three hours of walking per week lowered their risk by 49 percent. "Our results suggest that among men with prostate cancer, moderate physical activity may improve overall survival, whereas a grater amount of activity is necessary to improve prostate cancer-specific survival," the authors wrote. 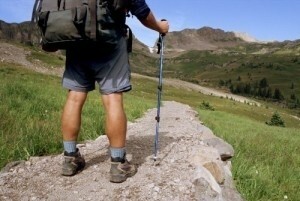 The study analyzed the physical activity of 2,000 men who had survived nonmetestatic prostate cancer. The findings bolster previous research, which indicated that vigorous exercise reduced one's risk of being diagnosed with advanced prostate cancer. According to the American Cancer Society, around 217,000 men were diagnosed with prostate cancer in 2010, and more than 32,000 died from the disease.